Daniel Caesar is well on his way to becoming a household name beyond his hometown of Toronto, but it's clear that his local fanbase still loves him most. After selling out four consecutive upcoming shows at the Danforth Music Hall, the R&B star has added an additional date. The fifth show is scheduled for December 20 at the Danforth Music Hall, and tickets for the new date will go on sale tomorrow (October 20) at noon. They will be available here. 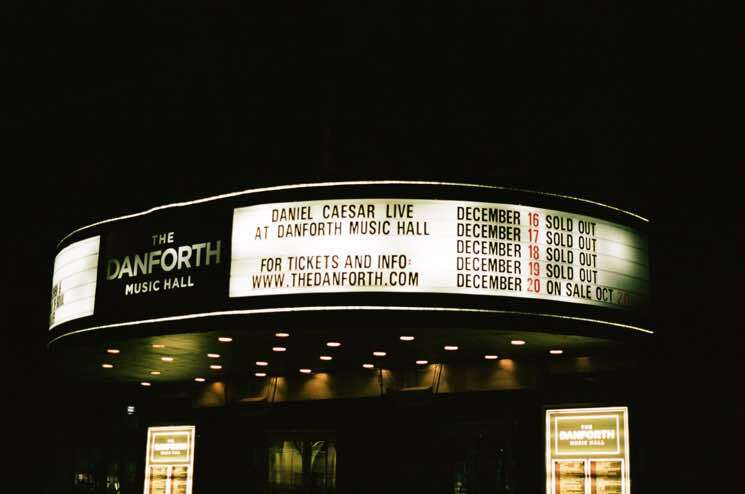 The Toronto shows mark the conclusion of Caesar's fall North American tour. See the full list of upcoming dates listed below. Caesar released his debut album Freudian earlier this year, and has since performed new music alongside Chance the Rapper.